Regardless of what we look at, be it movies, music, or tv, it’s evident our society has a youth-centric bias when it comes to what’s celebrated and supported. It’s also clear that this obsession with youth isn’t limited to pop culture and representations in media, it has a stronghold in the workplace as well. Not enough is said and done about elder employment. It’s become a common approach for most businesses that when someone gets to a certain age, they become less and less valued and more and more replaceable. And when they are replaced, it’s done under the guise of downsizing, restructuring, company-wide layoffs that include some people who are under the age of 40 so that the company can avoid age discrimination related lawsuits. This approach is not only unfair, it is not going to be sustainable. According to the Bureau of Labor Statistics (BLS), By 2024, when the American the labor force grows to around 164 million people, about 41 million of that number will be people aged 55 and older— and 13 million of that number are 65 and older! The hope is that as elder employment becomes more common and accepted, companies won’t be as hurried to get rid of their employees solely because of their age, and the value of a lifetime of experience won’t be as easily overlooked or underrated. Maybe then we’ll see more people like Alla Levushkina, the 90-year-old Russian surgeon, who’s performed over 10,000 operations over the course of her 67-year career; and David Goodall, a 105-year-old scientist, and botanist. 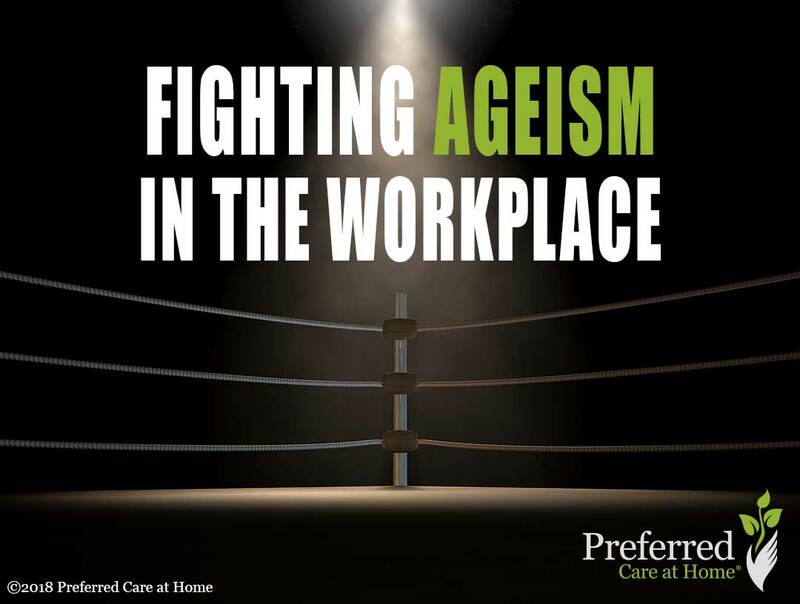 Preferred Care at Home has a long history of campaigning against Ageism, and from what we’ve seen discrimination in elder employment is one of the most common forms of Ageism. If you’re a business owner or a hiring manager, you can play a huge part in changing the cultural bias against elder employment. RetirementJobs – connects senior workers with companies and positions that match their skills. Encore – brings together skilled and experienced adults to improve communities and the world. AARP – a nonprofit, nonpartisan organization that empowers people to choose how they live as they age.